Family owned and operated Tucson auto repair for over 70 years. Kim came home in 2009 to learn the family business so that her father could retire. The importance of family, integrity and history made it important for her to carry out her grandfather Joe’s dream. She has solely run the business since and bought the business in 2016. 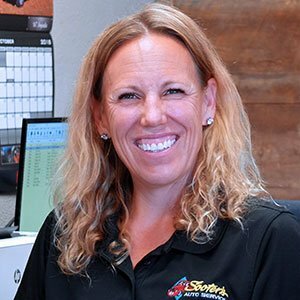 She has taken automotive classes through Pima Community College, is the secretary for the Tucson Chapter ASA, and sits on the board for the automotive JTED program. Kim’s hobbies include cycling, water skiing, camping, hiking and just about anything else outdoors. Paul started in automotive in 1967. He has been with Sooter’s since 1980. 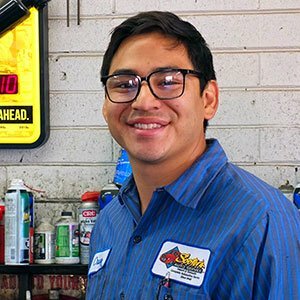 He has his ASE Master Technician and Advanced Level Specialist Certifications as well as an Associate’s Degree in Automotive from Pima Community College. He participates yearly with continued automotive training. He was very happy to choose this as his profession. To this day he still enjoys repairing vehicles. 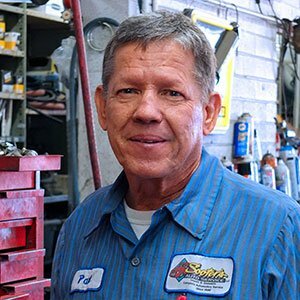 “Sooter’s is like a 2nd home.” Paul is an avid cyclist who also enjoys fishing and hiking. Dave started working for Sooter’s in 1990. He graduated Pima College in 1977 with an associate’s degree in applied science for automotive. He also has his ASE Master Technician and Advanced Level Specialist Certifications. He participates yearly with continued automotive training. Dave works on and restores old cars as a hobby. Cruz joined Sooter’s in 2015. He graduated Pima Community College with a degree in Automotive Technology. He is constantly learning and works closely with Paul’s helpful supervision. Cruz is always striving to be at his fullest potential, wanting to be the best. He enjoys working on all vehicles especially older classy vehicles. He also loves spending time with his family and wouldn’t change it for the world. Randy is a native Tucsonan. He began working for his father after being discharged from the United States Army in February 1968. He ran Sooter’s like a family owned business. He volunteered for the Department of Defense for the Employment Support of the Guard and Reserve. He is a founding member of the 162nd Fighter Wing Minuteman Committee. He sponsors youth activities and ladies bowling team. He retired after 47 years. He enjoys traveling throughout the Northwest with his yellow Lab Princess in his Motorhome. 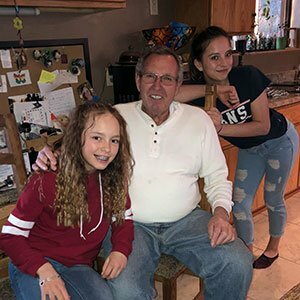 He also is very active with his two granddaughters Emarie and Ava. Max started as the Office Manager in 2012 and immediately took charge. He greets customers from on top of the desk for belly rubs. You'll often hear him barking instructions to the technicians and delivery drivers. 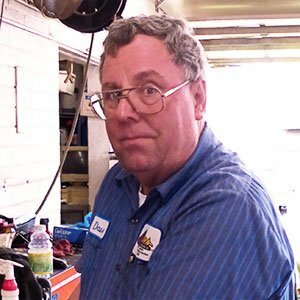 He's also extremely effective at locating packrats, not only in the shop but also in clients' vehicles, which allows us to clean and repair damage by the rodents. His hobby is chasing lizards. Read more reviews from around the web or leave your own! I had such a great experience here! My car had a chronic rattle in the back that just got worse on Tucson'a bumpy roads. The Ford dealer told me they would charge me $130 just to tell me what was wrong, and Sooter's charged me only $50 to fix the problem. 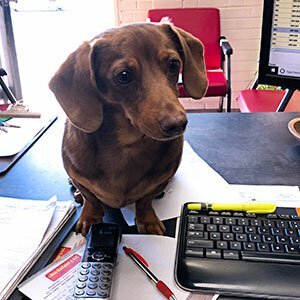 The staff were great, the office dachshund was a sweetheart and answered all my pet-related questions, and they were done hours sooner than they thought they would be. Also love that their location is right downtown instead of out in the burbs. Once again Sooter's Auto Repair provided outstanding service! I bought front and rear bumpers, along with a winch and storage vault, arranging with Kim to have all installed to my surprise in one day!! Installation was going fine, until Mechanic James called bringing a damaged storage vault to my attention, which had been damaged during delivery. James contacted all parties necessary to return the damaged vault and arrange for the delivery of a new vault! Installation of the bumpers and winch were professionally completed and my Willy's Jeep looks great!! I bring all my POV's to Sooter's Auto Repair for service and every time leave completely satisfied!! Thank you!! Have a question or need to schedule service? Call us today at (520) 623-1002.